How do you visualize the Hawaiian Islands? A luau on a starry tropical night? Fiery volcanoes creating lava paths to the sea? Snorkling, diving, surfing in azure seas? You can see all of these and more in the beautiful Hawaiian Islands. Composed of 132 separate islands, atolls and coral reefs, the Hawaiian islands are in the middle of the Pacific Ocean less than 6 hours by air from the West Coast. Formed by volcanic eruptions, the Hawaiian Islands are actually the tops of immense underwater mountains. Eight islands make up 99% of the land mass. Of those 8 islands, 6 are open to tourism with 4 being the most popular. The popular resort islands are Oahu, Maui, Kauai and Hawaii (also known as the Big Island). Summer (when it’s warmer) – 75-88 degrees. Trade winds keep things comfortable giving Hawaii a perfect year round tropical climate. Hawaii may be exotic but it is still American. Money, driving, electricity and language is the same as we have on the mainland. Hawaii is safe, with very little crime. Communication is never a problem since Hawaiians speak English as well as their native Hawaiian language. Clothing in Hawaii is comfortable and casual so no reason to bring dress clothes. Even at the best restaurants, the dress code is Hawaiian Casual. That means a pair of khaki pants for men and a sundress or cotton slacks for women. Waikiki is a bit more formal and if you really want to dress up, this is the island to do it. Bring bathing suits for the beach, comfortable shoes for sightseeing and plenty of sunscreen. Hawaii has something to offer everyone. No other vacation destination on earth can even come close. Hawaii is not one single destination. Each island is a destination in itself. Each has unique personalities, attractions and appeals. Most vacationers only know about Honolulu, Waikiki and Maui but the Hawaiian islands are so much more…….. The largest of the Hawaiian islands, encompassing 4038 square miles with 266 miles of coastline, Hawaii is also known as the Big Island. Hawaii offers a blend of tropical rainforests on one side and lava on the other. Mauna Kea, on the northern half of the Big Island, rises almost 14,000 feet above sea level. In the winter months, it might have snow on it. Imagine snow skiing in a tropical paradise. In March 2006, my clients took a picture of Mauna Kea with snow on it. Too bad they didn’t bring their skis! This is one of the best places in world to go star gazing. If you are traveling to the Big Island and don’t go up to at least the visitor’s center of Mauna Kea, you are really missing an experience of a life time. Check with me on some tips on seeing some of the best sunsets in the world from Mauna Kea- for free! is an active volcano that is currently erupting. Lava has been flowing continuously toward the ocean since 1983. The landscape ranges from hot molten lava deserts to lush green jungles. Imagine driving into Kilauea and parking on a parking lot with steam coming out of it. Tip: If the park’s department is still allowing it, walk along lava beds for a once in a lifetime stroll but bring good shoes with heavy soles. You will have to walk a while before getting to the lava beds. Since the flow changes daily, check with the ranger service to see where the best spots are to see the flow. Tip: One of the best ways to see the lava flow without walking on it is by boat. 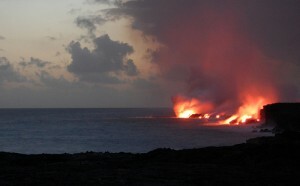 There are many companies that offer night time viewing of the coast line to see the lava flow. You can also consider taking a cruise. Many cruise ships will time their departure from Hilo so that you get the best viewing of the lava flow. Hilo, on the eastern coast of the island, is the gateway to the Hawaii Volcanoes National Park and is Hawaii’s oldest seaport. It still retains its small town, turn of the century ambience. Drive along the Hilo-Hamakua Heritage Corridor and take in the sheer lush cliffs formed from the slopes of Mauna Kea. The volcano provides a stunning backdrop to hidden waterfalls, lush verdant valleys and the sugar cane production history. On the west side of Hawaii, Kailua-Kona, once a fishing village and seaside retreat for Hawaiian royalty now offers a quaint shopping district. 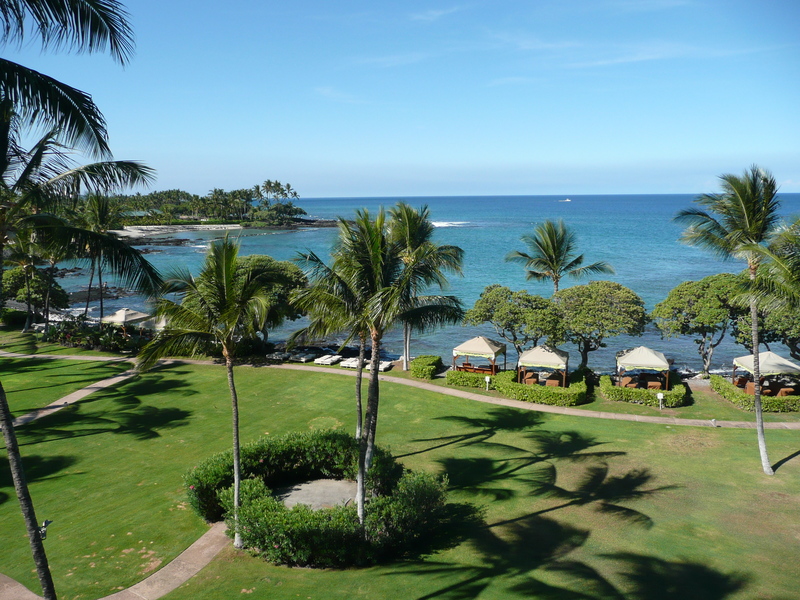 Along the Kona-Kohala coast, just a few miles from the airport, on the northwest side of the island, you will find white, sandy beaches, luxury resorts, spectacular golf courses and near perfect weather. Some of the world’s best snorkeling and deep sea fishing is found along this coast. This resort area is also home to the Four Seasons Resort Hualalai, voted one of the world’s best resorts, as well as the Fairmont Orchid, the resort where we stayed in November 2009 and a number of other great resorts. The Fairmont is famous for its Spa With Out Walls and its wellness program, Paradise Within. This is the perfect resort for a spa vacation. Mixed among the luxury and deluxe resorts are condos, for those who want to visit the Big Island but also save a bit of money or take the family. Tip: If you are short on time, consider taking a Grand Circle Island Tour. It is a long day but you will get to see lava fields, visit a black sand beach, Volcano National Park, drive through Hilo, see Rainbow Falls and get an overall great idea of the island. You can always go back to some of the places you really enjoyed later in your visit or on your next visit. The Big Island is probably the least visited of the 4 main Hawaiian Islands. Many people think that it is just the volcano but it is truly so much more. We only had 4 full days in the Big Island and I wish we had more time to actually relax and enjoy the island. 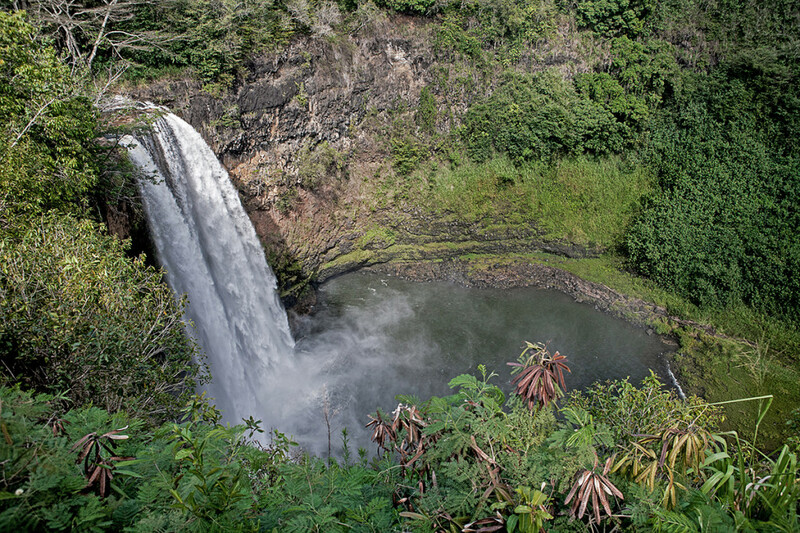 If your idea of a tropical vacation includes waterfalls, secluded beaches, tropical forests and majestic mountains, Kauai might be your paradise. It certainly is mine! The sheer beauty of Kauai is its playground. Evenings are quiet with a variety of entertainment, including great dining, luaus, music, sports bars and more but don’t expect the glitz and glamour of the big city here. You’ll spend your days filled with outdoor adventure, sun and fun and you’ll be ready for a nice relaxing evening. This is beauty at its best! Waimea Canyon, on the southwestern side of the island is just 36 miles from the airport. It is known as the “Grand Canyon of the Pacific.” It is 10 miles long, 2 miles wide and full of reddish colored lava beds, expansive green valleys and spectacular scenic views. One of the best way to see all of the Waimea Canyon is by helicopter. The Waimea River winds through the canyon to the ocean with historical sites and waterfalls along its banks. Tip: If you want to see the Napali Coast from Waimea, plan to get there early in the morning and go right up to the Kalalau Lookout. If you get there after 10am you may only see clouds. Hanalei Bay, on the northern side of Kauai, epitomizes everyone’s idea of a tropical paradise. This picturesque arc of sand backed by cliffs was made famous as the setting for the movie “Bali Hai”. Palm lined, golden sand beaches with the towering cliffs and waterfalls of Bali Hai behind it, makes nearby Lumaha’i Beach one of Hawaii’s most beautiful beaches. You might remember this beach from the scene in the movie South Pacific where Mitzi Gaynor tried to “wash that man right out of her hair.” This is also the home to the deluxe St. Regis Princeville Hotel. Just a point of interest: If you get a chance to stop into the St. Regis, check out the chandelier in the lobby- it’s hand made of Murano glass from Venice. 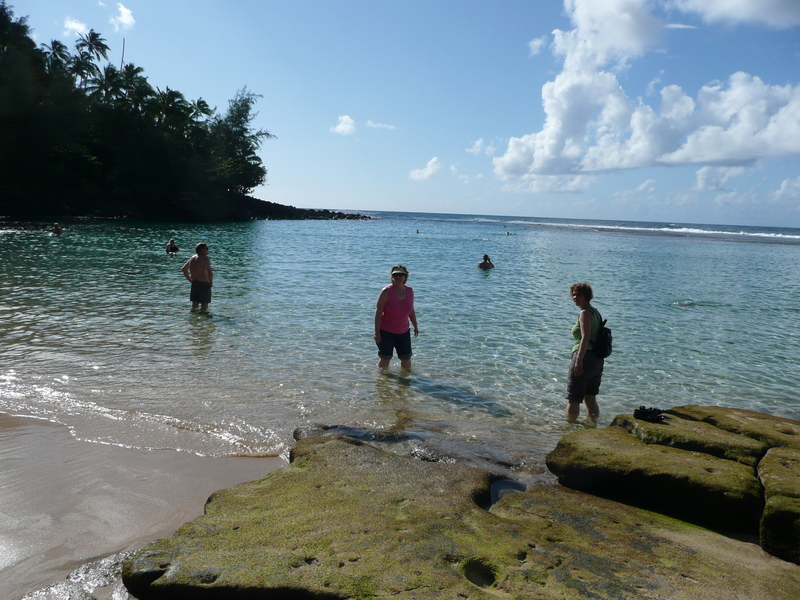 The North Shore has some of the best beaches on Kauai. Drive past Hanalei and you can see the Wet and Dry Caves, 1 lane bridges and great beaches with phenomenal views before the road ends at Ke’e State Park. We saw a monk seal just sunning himself on the beach at Ke’e State Park. If you are into hiking, take a short 2 mile trail and you’re in for a treat- some fabulous views of the Napali Coast. For those less ambitious, walk a few minutes down Ke’e beach, and look to the left for a glimpse of the sheer beauty of the Napali Coast. Tip: If you are not staying on the North Shore, plan to make a day of it and pack a picnic lunch. You can stay at one beach or visit many- it’s just so hard to pick just one. 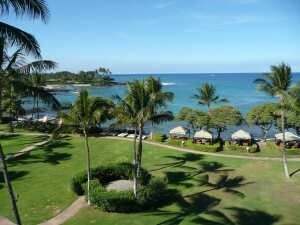 Po’ipu, the main resort area to the south, offers palm tree lined beaches and generally sunnier weather. Po’ipu is the most visited resort area in Kauai with great beaches, water sports and a variety of accommodations and dining options. At the sunny side of Kauai, you will find the Grand Hyatt, with the best pools in all of Kauai, the Sheraton, as well as a boutique hotel and condos to choose from. Tip: Check out the Spouting Horn in Poipu, where water can shoot up to 50 feet into the air. Also, ask me how my concierge can make reservations for you at a restaurant with the most fantastic sunsets in Kauai. Because of Kauai’s tropical beauty, it is where Hollywood goes to film a paradise. It is the setting for over 50 movies, including South Pacific, Jurassic Park, Blue Lagoon, Raiders of the Lost Ark, as well as the TV series, Fantasy Island. You can take a tour specializing in visiting the locations of the films shot in Kauai or follow a map and plot out your own movie tour. You won’t see as much, but you can still have fun. 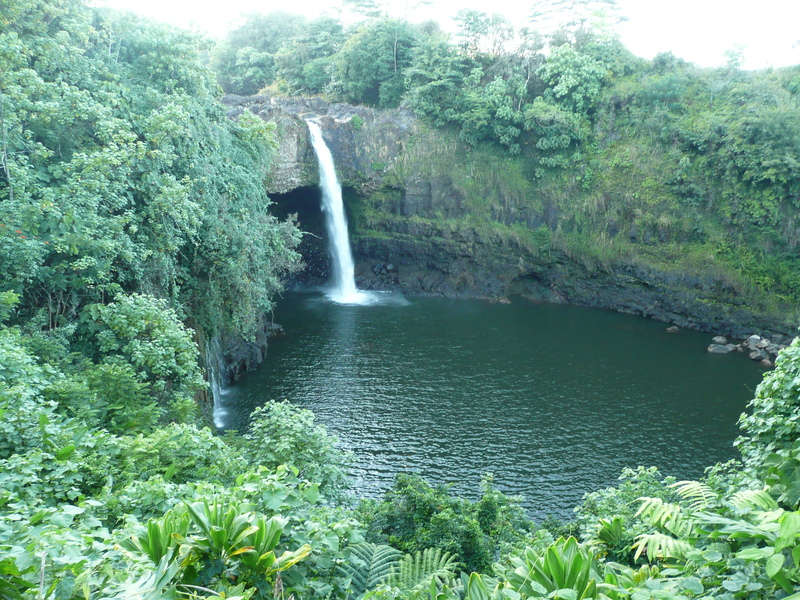 Wailea Falls is a short drive inland from Lihue and you will have some impressive views right from the road. Opaeka Falls is a bit up from Wailea Falls and has, not one but 2 waterfalls. There are other waterfalls that you can hike to but these are visible right from the roads. 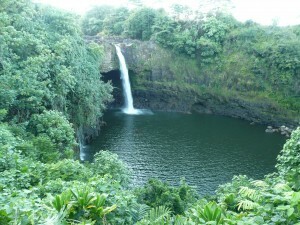 When I started sending clients, especially honeymooners, to Kauai, it was usually for 3 nights, after a visit to Maui. Now, I send my clients to Kauai for 5 or more nights and they still come home wishing they had more time there. You will really need to see Kauai for yourself to see if this is your favorite island too! With some many activities like zip lining, Kayaking, tubing down canals, helicopter tours, snorkeling excursions, movie tours, ATV tours and so much more, you’ll easily be able to spend an entire week in Kauai and still not run out of things to do. 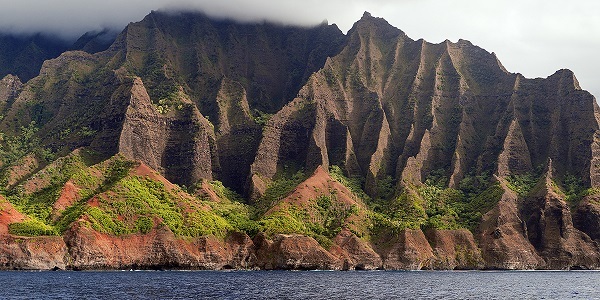 Tip: One of the best ways to see the Napali Coast is by air or by boat. This is one excursion you will want to pre-book before you leave for your vacation since the good tours book up quickly. You can take a snorkeling excursion which will take you up the coast and you can snorkel near caves. Sometimes the waters can be a bit rough, so if you are prone to motion discomfort, take some Bonine before you leave for the excursion. Maui has been named the “best island destination in the world” by readers of Conde Nast Traveler and Travel and Leisure magazines. It’s the 2nd largest island in the Hawaiian chain and has everything from 80 sun drenched beaches, championship golf courses, snorkeling, whale watching and world class shopping. My husband and I spent 6 days in Maui in October of 2006 and loved it. We decided to pitch a tent on the beach and live there forever- that is — if we can get wireless internet service in the tent. With so much to see and do, with every type of accommodation (and we inspected many of them!) there is something for everyone in Maui. More than just the main resort areas of Ka’anapali and Wailea on the western coast of Maui, the island has something to offer everyone from relaxing in the sun to biking down a volcano, hiking, snorkeling, shopping, entertainment and great restaurants. 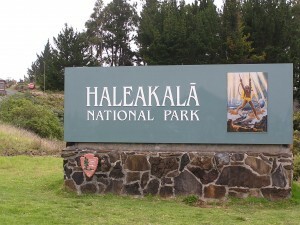 In Haleakala National Park. Haleakala is the world’s largest dormant volcano. The park offers a lunar like landscape that is best seen from the air. Driving up to the summit and watching the sunrise over the crater is the park’s most popular activity. 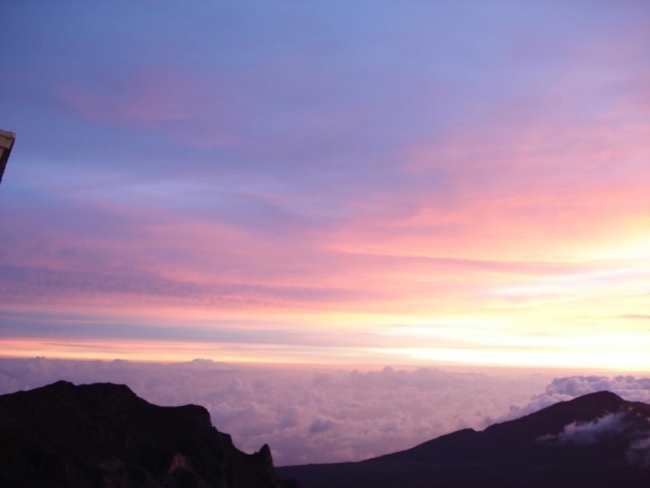 The summit offers unobstructed views of Maui’s neighboring islands and a visit is a tradition for most visitors. A very popular excursion that can be pre-booked is a sunrise bike ride down from the summit. 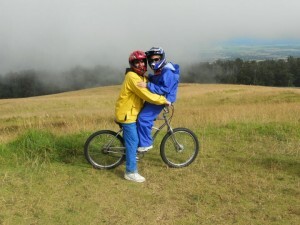 Don’t worry- you barely have to pedal the bike at all since it is a downhill ride with some fabulous views. Tip: Since Haleakala is shrouded in clouds for most of the day, check with the concierge of your hotel before heading out to view a sunset. The general rule of thumb is — if the mountain range has a lei around it (meaning you can see the top of the mountains with the clouds a bit lower), it should clear for sunset. 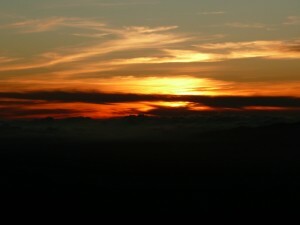 We drove up Haleakala in the late afternoon and were lucky to see a magnificent sunset over the observation center. 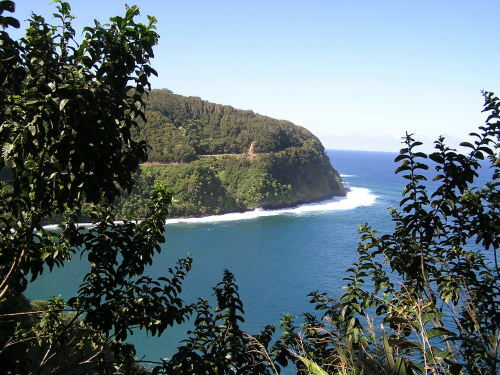 Another not to miss excursion is the Road to Hana. It is 53 miles long, narrow roads with 617 curves and 54 one lane bridges and has been voted one of the most beautiful drives in the world filled with lush tropical foliage, waterfalls, freshwater pools and gorgeous scenery. Panoramic views change from breathtaking coastal vistas to the rugged wilderness of Maui’s mountainous interior. Tip: After you book your vacation with My Vacation Lady, ask me about the Road to Hana map, directions and CD that I have to help you with this drive. You can also buy one for about $20 on the island. Buy a picnic lunch to eat along the way since there is no place to stop to buy lunch once you pass Paia until you get to Hana. Bring plenty of water and sunscreen and, if you plan on hiking, bring some mosquito repellent. Some not to miss stops along the Road to Hana are: Twin Falls, Waikoma Nature Trail, Keanae Peninsula for the most amazing views of the lava rock beaches, Wai’anapanapa State Park with the unique black sand beaches, blow holes, and caves. 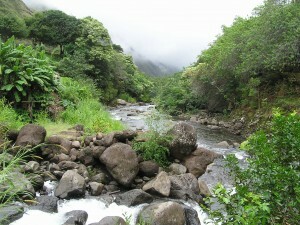 The Iao Valley is one of Maui’s most beautiful volcanic gorges. It is filled with waterfalls, rainforests, hiking trails and gardens. It’s an oasis of serenity in central Maui. Just a few minutes from the airport and the town of Kahului, this is a great stop on the way back from Haleakala or on the way to the Road to Hana. This is a very easy excursion for those who don’t want to do heavy hiking, but there are a lot of stairs along the paths to get to the bottom of the gorge. You can still get gorgeous views from the top of the path if you don’t want to climb the steps. Lahaina, once a raucous whaling center with a rough, tough history, is now a great collection of historical sites, restaurants and shops. One of Maui’s most popular visitor attractions, it is located on the western coast between Maui’s 2 most popular resort areas. While in Lahaina, don’t miss seeing a luau. There are 2 that we recommend frequently– the Old Lahaina, named the most authentic luau and the Feast of Lele for those of you who prefer a sit down meal. Ask us how to pre-book this luau in advance because they are always sold out. Also, walk down Front Street, passed Dickenson Street, almost to Prison Street, and take a picture next to the Banyon Tree. This tree is huge and takes up the entire square. Most people think of Waikiki and Oahu as one and the same. Waikiki is Oahu’s main tourist area filled with hotels, great beaches, shops and dining options, but it is only one part of Oahu. As the 3rd largest island, Oahu offers rainforests, valleys and canyons, waterfalls, coral reefs, golden sand beaches and mountains nearly 1 mile high. Oahu is also chock full of history and fabulous attractions, both natural and man-made. Diamond Head Crater is the island’s most famous landmark. 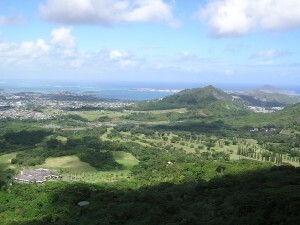 For spectacular full views of Oahu, a 1 ½ mile hike to the summit is a must. 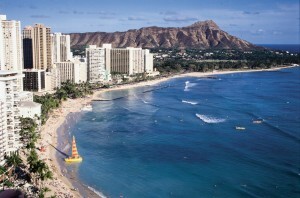 Just a short drives from the Waikiki beach hotels, Diamond Head Crater is a must see. Near by, stop into the Honolulu Zoo, Waikiki Aquarium and Sea Life Park. Punchbowl Crater serves as a military cemetery for over 350,000 soldiers who lost their lives in World War II, Korea and Vietnam. Bishop’s Museum houses the largest collection of Polynesian and Pacific Island artifacts. On the Windward side of the island is Hanauma Bay, offering some of the best snorkeling in all Hawaii. You can get there by bus, but if you are planning on arriving by car, get there early. It is a popular snorkeling spot with the tourists and locals! The Polynesian Cultural Center features villages that re-create the lifestyles and cultures of many Pacific Rim nations. Take a full day tour that includes dinner, a variety of stage shows, an IMAX show and a tour of the villages. Along the North Shore of Oahu, 28 miles from Honolulu, enjoy world famous shave ice (Hawaii’s version of a snow cone) at Matsumoto’s General Store. Explore Waimea Valley and Adventure Park, an 1800 acre botanical garden and center of culture and tradition. For surfers, the north shore’s biggest claim to fame is the winter surf at Waimea Bay. Where waves can tower over 3 stories high, it is the most famous surfing area in the world. Tip: Oahu is the place to take surfing lessons by professional surfers or fire fighters. Ask me about adding a surfing lesson to your vacation package. 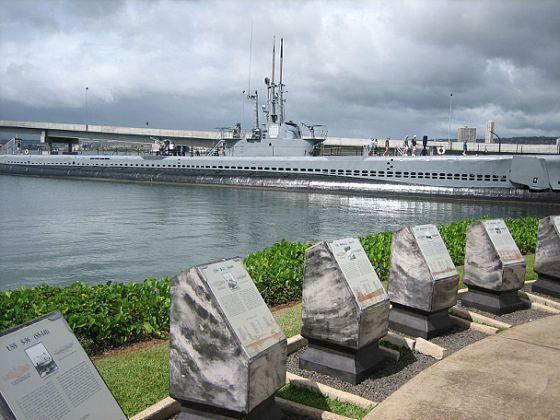 A visit to Oahu would not be complete without a visit to Pearl Harbor. Tour 3 museums dedicated to helping us remember “a day that will live on in infamy.” Tour the U.S.S. Missouri battleship, the Arizona Memorial and the U.S.S. Bowfin Museum. A solemn but moving experience, it’s one of the island’s biggest tourist attractions. Ask me about arranging this tour for you on your first full day in Oahu. After the long flight from the Mainland and the time difference, you will be up early on that first day, so it’s perfect to visit Pearl Harbor as soon as it opens at 7:30 am. Also ask me about the Windward Island excursion that we did on our last visit to Oahu. We hiked through a tropical rainforest to a waterfall, we stopped at a scenic overlook that gave us views of the eastern coast of Oahu, we stopped at a fabulous beach which is great for windsurfing or kayaking, and we walked a trail to a lighthouse. On the way back, we passed some fabulous beaches, gorgeous scenery and had a fabulous day in Oahu. Whether you fly to Hawaii and spend a week in each island or whether you cruise between islands, Hawaii is worth the trip. Whether you are spending your honeymoon in Hawaii or taking the family, Hawaii is the perfect destination. As a Hawaiian Destination Specialist, let My Vacation Lady help you plan your dream vacation in the Hawaiian Islands. Take the stress out of your Hawaiian vacation planning. Let My Vacation Lady help plan a memorable Hawaii vacation for you. Call now (732) 418-0819 or or send us an email.